Targeting keywords is an art form that needs to be mastered in order to accomplish the goal of having your web pages appear high on search engine result pages (SERP) such as Google, Yahoo and Bing. A good rule to live by when engaging in this process is to resist throwing in the kitchen sink on a single page. You do not need to keyword stuff and pile in dozens of keywords within one page. This rule rings especially true for the home page. Don’t overdo it. Spread out your targeted keywords over all of the pages that make up your website. Limiting the number of keywords to a few specific keywords and keyword phrases per page has both the benefit of clarifying to search engines how you want a page to be indexed and found and it may encourage you to add additional pages or posts (blog articles) to your site, each targeting a specific set of keywords. It’s an effective search optimization technique. Example: If you have a company that offers several services, don’t just create a single services page that lists everything you do and stuff the pages with keywords that encompass all that you do. Instead develop a page for each service that you offer, writing body content for each page that goes into detail about that specific service. Target keywords and keyword phrases related to the specific service that you would like that page to be found for and add those targeted keywords and keyword phrases to all elements on the page from the title text and metatags in the HTML code to the body content elements on the page. Hit the search engine spider bots over the head with your intentions and be specific with your targeted keywords and keyword phrases. Do your research. There are free research tools that may help you in selecting your targeted keywords including Google AdWords keywords tool and the SEObook keyword suggestion tool. Note: after the time of this writing these tools may become unavailable. New tools continuously arise. 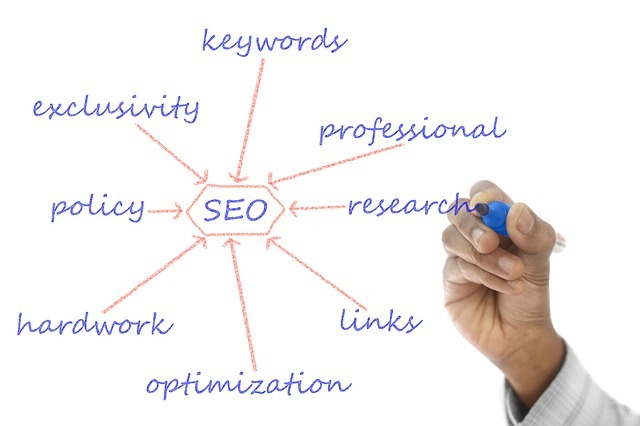 A simple Google search may provide the latest and greatest on-line resource for keyword tools. You can also help your chances of placing your web pages high on a search engine result pages by using long tail keywords, keyword phrases that have at 3-5 keywords in the phrase, and adding a geographic anchor. Think in terms of the Google user that is searching for something specific and then tailor your keyword phases to those that you think he or she may type in to find your page. Example: if your own a Scottsdale dental practice and your title tag, description meta tag, keyword meta tags, header element and page body content all include the keyword phrase “affordable dentist in Scottsdale” there’s a chance that if someone types in the word search “affordable dentist in Scottsdale” your page will show up high on the search results. Web pages that are optimized for targeted keywords and whose body content, Meta tags and title text have purposely been written to target specific keywords are more likely to be indexed and found on search engines for those keywords and phrases over pages that lack a similar structure. It does take some additional work to implement on-page optimization but its importance cannot be understated when the goal is to place on page 1 organically.